Strong Supernatural Spirit Is Blowing DsVinci Code Popularity Throughout The Whole World! Title: Strong Supernatural Spirit Is Blowing "DaVinci Code" Popularity Throughout The Whole World! Biblical prophecy shouts warnings to all discerning Christians that Antichrist is going to be very popular. Consider some of these prophecies. Antichrist is going to be one very popular fellow when he arises with his "lying signs and wonders" -- these "delusive marvels" -- with which he intends to deceive all the peoples of the world. The Bible says the great majority of the people will rush after him in great adoration and love. Just as Rev 13:3, above, says, the peoples of the world will think that Antichrist is a wonderful human being and a great world leader. Most people will react to his "lying signs and wonders" and will automatically accept his messianic claims. However, two large groups of people will not accept him readily as the messianic figure he claims to be, for they will be waiting and watching to see if he fulfills Bible prophecy. For this reason, the Illuminati plans for Messiah to stage a "fulfillment" of each of these prophecies. Who are these two groups? Jews, in particular, will insist that this newly-arisen Masonic Christ produce a lineage which proves his genealogy back to King David. How is a Masonic Christ, arising out of a "Revived Roman Empire" (Europe and Great Britain) going to produce his lineage back to King David? That is where the lie inherent in the "Da Vinci Code" becomes so very important. Antichrist cannot arise until significant numbers of people throughout the world believe the "Merovingian Bloodline Lie", now so powerfully presented by Hollywood. The combination of Dan Brown's DaVinci Code book and the movie by the same title is one of the most startling events in a long time, for it is a most effective conditioning tool to expose to people's consciousness a critical lie upon which Antichrist will absolutely depend; further, this lie occurs at a time when events of the day seem to be moving toward more globalism than ever before. At this most critical time in world history, the DaVinci Code exposed an obscure occult, secret society lie, that has only been written about in New Age type books. While the book, "Holy Blood, Holy Grail", by Lincoln, has sold over one million copies, and while TV programs have aired on this subject, all these former airings absolutely pale into insignificance compared to the nearly 20 million books of Brown's DaVinci Book. 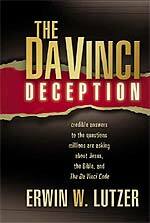 Since getting people to believe this lie is so very important to the appearance of Antichrist, let us now examine these lies as told in the Da Vinci Code. Here is a list of the lies told in "The DaVinci Code". * Jesus married Mary Magdalene and had a boy child. After Jesus' crucifixion, Mary fled with her daughter -- depending upon assistance of friends -- to the country now known as France. Ultimately, this son married into French Nobility, from whom have sprung the monarchies of Europe, Great Britain, and even Russia. To protect and preserve this secret bloodline lineage -- called the Merovingian Bloodline -- a secret society called "Priory of Sion" was established. Then, when Antichrist arises, he will be able to demonstrate his uninterrupted Merovingian lineage all the way back to Jesus. According to Matthew, Chapter 1, once Antichrist has plugged into Jesus, he is "home free" to King David! Thus will be "fulfilled" a most critical component of anyone trying to convince people he is the Jewish Messiah, i.e., that he is descended directly from the lineage of King David. This most occult society exists today and is still actively protecting and preserving this critical information. * When reading Dan Brown's book or watching the movie, you need to strap your seatbelts on, for you shall be exposed to a mixture of truth and error, the likes of which you have probably never seen. You will also see New Age and Gnostic religious concepts to which you may have never been known. 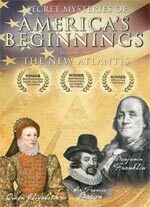 In our best-selling video, "Secret Mysteries of America's Beginnings", we reveal the key Gnostic lies which underpin the DaVinci Code and we tie this directly into the Gnosticism/Knights Templar inherent in the National Treasure movie. At this moment in time, there is probably no more important issue to understand than the Gnostic teaching bring promoted in the DaVinci Code. 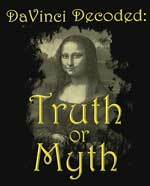 * "Da Vinci Code" is a slick psychological presentation that purports to present all sides of the subject, but does so in such a way as to leave the impression with the viewer that the entire concept -- that Jesus might have been married to Mary Magdalene and produced an heir that is now the bloodline of European and British Monarchies -- just might be true after all. This slick psychological presentation is, in reality, the outworking of the Dialectic Principle, which we have called the "Six Step Attitudinal Change Plan". If you have not read our treatise on this very slick method of silently changing people's minds, attitudes, and values without them being the least bit aware of it, please stop right now to read NEWS1055. Remember, Antichrist cannot arise until great numbers of the peoples of the world believe this lie. Now that we know the philosophic and religious underpinnings of this move -- and the book -- let us examine this phenomenon from a completely different perspective. Let us see how the immense popularity of this movie heralds, or parallels, the popularity of Antichrist. I am staggered by the tremendous popularity of the Da Vinci Code movie. "7th Update (Sunday): Sony Pictures told me exclusively this morning that Da Vinci Code (DVC) earned $224 million worldwide, making it the second biggest opening weekend of all time worldwide. (The only movie that did better was Star Wars 3, the last of the prequels, with $254 mil). That DVC figure broke down to $147 mil internationally, and $77 mil domestically. The studio told me that the film is the No. 1 all-time opening weekend internationally." The very fact that this film did so well in so many places around the globe leads me to conclude that people all around the world are more ready to accept the claims of Antichrist than ever before. Even citizens of staunchly pro-Catholic countries are packing theaters to see this movie. The Vatican had come out very strongly against Da Vinci Code, and had even called for the film to be banned. "DVC was #1 in predominantly Catholic countries Italy and Spain, and #1 or #2 in every South American territory. Sony execs explained to me that the reason for the huge success is that 'young people' including teens were going to see the film worldwide as well as adults. But all audience segments were doing well, even infrequent filmgoers." Now, listen as this movie is compared to others in the past. "We are absolutely thrilled with the worldwide opening of this movie and it’s a true international event', the chairman of Sony Pictures Entertainment's Motion Picture Group, Amy Pascal, told me Sunday morning. And we got some very good reviews ... DVC ranked #13 on the all-time U.S. opening weekend, behind Mel Gibson's The Passion of the Christ. But, internationally, DVC swamped Passion. Interestingly, domestically, DVC dipped slightly on Saturday compared to Friday, $27 mil compared to $29 mil, and Sunday's haul was projected at $20 mil. Meanwhile, U.S. box office was strong overall: Dreamworks/Paramount's Over the Hedge took in $37 mil for the opening weekend ... Da Vinci Code has Japan's 5th biggest opening day ever on Saturday ..."
"Meanwhile, reports say the Rev. Robert A. Schuller, pastor of Southern California's Crystal Cathedral and host of TV's weekly Hour of Power program, went to a screening and is publicly recommending DVC. 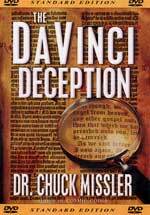 'As long as people talk about The Da Vinci Code, they'll discover the divinity code of who Jesus Christ is' ... The widest Hollywood release ever in China, the pic is having one of the biggest opening day box office returns for a non-Chinese film." Across the world, this movie showed its popularity, a popularity fueled by people's spiritual hunger to "discover who Jesus Christ truly is". This is the stuff of prophecy fulfillment, right in front of your eyes, in your Daily News. Incredibly, we posted a news article on Saturday in Daily News Updates which spoke to the very essence of which we have been warning: powerful occult supernatural forces are driving the success and popularity of the Da Vinci Code. "Carrie Carter of Fenton, Mich., is among those compelled to speak up with the movie's release. She's a self-described 'spirit medium' and said a special source told her 'the time is right' to spread the good news: 'The Da Vinci Code' will change our future. The angels told me 'The Da Vinci Code' will rock this world. They said it will make people look inside themselves and start to question things', said Carter, adding that she also has channeled Mary Magdalene. "The angels also told me this is only the start of a great awakening — there will be more books and more movies', she added." Rarely has any one paragraph contained so very many points, so let us take a moment to examine them all. 1) "The time is right" -- Cutting Edge has been warning for over a year now that the popularity of the Da Vinci Code book reveals that the world is closer than many think to the actual appearance of the "Masonic Christ" -- Antichrist. This spirit medium and channeler is now saying that her "angels" (guiding spirits") are saying the same thing -- Timing is right. People who wholeheartedly subscribe to this lie straight out of the Abyss run the danger of eternal damnation. If the Holy Spirit couples His "misleading influence" and "strong delusion" on to a person's affirmation of the lie in the Da Vinci Code, that person is lost, according to this prophetic Scripture. 3)" 'The Da Vinci Code' will rock this world." -- Indeed, its spiritual message will rock this world, because this spiritual lie is required before Antichrist can arise and "rock the world". One of the reasons his appearance will "rock this world" is because people have been pre-conditioned to believe this genealogical lie. People are also so Biblically ignorant, they will believe anything which is presented to them in a very slick film and book. One pastor wisely said, "The problem with people not believing in the Bible is that now they will believe in anything!" We are at that point now! Doubt it not! 4) "The angels also told me this is only the start of a great awakening — there will be more books and more movies' " -- This movie is only the "start of a great awakening", that is a great spiritual awakening! The rise of Antichrist is most definitely a spiritual movement in the hearts and souls of the people of the world, and movies like Da Vinci Code are pre-conditioning people to accept the claims of the Christ. We are already witnessing a number of very occult looking movies on the horizon, including one called "The Omen", whose trailer openly mentions "Antichrist". With this much conditioning planned in our future, can you see another reason why President Bush is not likely to order an attack on Iran -- since that attack will trigger regional war, which will trigger the planned World War III designed to produce Antichrist? Not only does Israel have to complete her withdrawal from the West Bank, but now we learn that further conditioning, from more movies in the future, is required before the peoples of the world are completely ready to accept Antichrist. We are getting much closer, but evidently there are more conditioning films and books coming. All these facts presuppose more time is required to play all these conditioning vehicles out, which means we are not likely to actually attack Iran anytime soon. Truly, the world is spinning in the direction of the appearance of Antichrist. All signs are pointing so strongly in this direction.